Ready-To-Use 2X Master Mix For Use in Real-Time Quantitative PCR Assays in Which Intercalating Dye-Based Detection Provides the Option of a Post Amplification Melt Profile. Ships via Expedited Service/Storage at -20°C. 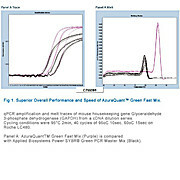 Ready-To-Use 2X Master Mix For Use in Real-Time Quantitative PCR Assays. 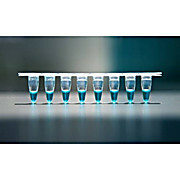 For Fluorescent Detection of DNA/cDNA, Gene Expression Analysis and Detection of Sequence Variants. Ships via Expedited Service/Storage at -20°C.